Passive:Assasin Instinct Attacks made from behind will deal an extra 20% damage. If the hero is in the brush for 2s without receiving or dealing damage, the hero will enter Stealth mode, and leaving the brush for 5s or dealing damage will make the hero reappear. Stealth mode increases hero movement speed 50%. causes the next basic attack to deal 50% extra damage, and silences the target for 2s. The skill that makes natalia a superior assasin.Stealth Mode,More Attack Damage.And Ultimately the added movement speed while on stealth mode. Skill 1 Claw Dash- Dashes forward, dealing 250 physical damage to enemies along the way. This ability can be cast twice. This skill is great for chasing and escaping from enemies. Can also be use for confusing enemies and kill stealing on team fights. Skill 2 Smoke Bomb- Casts a smoke bomb on the spot, slowing down P movement speed for enemies within 65%. The hero’s attack speed will increase 30%, and the hero will be able to dodge all basic attacks. Natalia’s squishiness no more with this skill she blocks all attacks while inside the smoke parameter.Essential for attack enemy from behind with its 65% slow. No one can run from you unless they have Purify or escape skills. Plus bonus attackspeed makes you more superior if you got a nice build. Skill 3 (Ultimate) Cold Blooded Strangling- Makes multiple forward attacks in a row, each dealing 60 physical damage and lowering movement speed of affected targets 65%. Natalia’s ultimate doesn’t do alot of damage but gives so much slow for the enemy can be alternative slow if enemy managed to get out of the smoke. This skill is aoe you can damage every hero on your way. Can be the source of huge amount of damage if the enemies are stationary. Stun- Helps positioning your ultimate and preventing enemies to escape. Useful for teambattles especially by buying time or setting up your team’s skills. Rage- More dps? Would be good if the enemy doesn’t have a stunner specially rafaela. Deals so much damage than what you imagines gives you 55% atkspeed and 15% more dmaage that results more critical strike damage. Note: Attack from behind with smoke bomb for more attackspeed. Rapid Boots or Swift Boots Rapid Boots is recommend if you’re going to roam the whole map specially if you’re focused of pushing and farming. Swift Boots is for Ganking,Additional Atkspeed for damage output. Blade of Despair Take advantage of its +15% Dmaage if enemy is stunned. With your spell stun you can generate much more critical strikes than ever for 1 second. Hunterstrike ot Crazed Reaper Hunterstrike is recommended if enemies were squishy and doesnt have alot of escape skills after a kill it gives you a 20% mspd. Crazed reapers gives at a cap of 30% mspd per basic attacks you do its good for chasing enemies who can move faster and best paired with natalia’s slow skills. 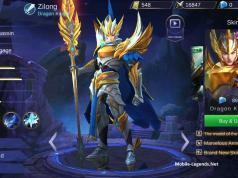 Emblem Set I’d recomend physical assasin set for bonus mspd and some critical strike i got 1% critical strike from it seems low but on early game its a game changing advantage. ✂Combat Tips Natalia’s supreme damage comes from behind attacks on 1v1 battles try to kite and position to their back to deal more damage. 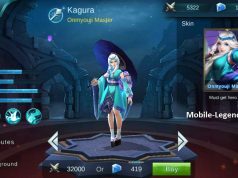 Team Battle Tips Natalia should attack behind on team battles but, on the right time ensure that the enemies have all used their skills so you can wipe them up without getting killed first. TEAM WORK Is also considered.Teammates with stuns can be natalia’s backup so he can surely deal damage more with blade of despair. Well said Jhamz. Good job dude.